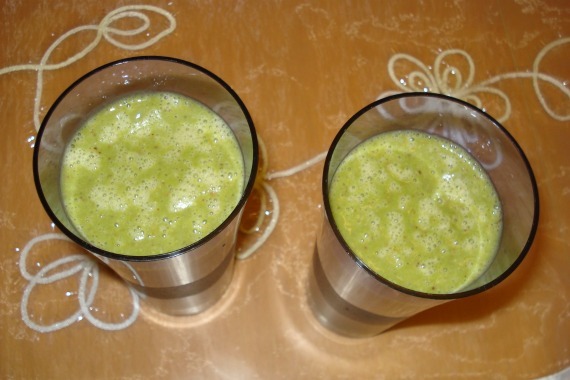 Dark, leafy greens are so healthy and great in green smoothies and in hearty dishes. You want to make sure to have them available year round. 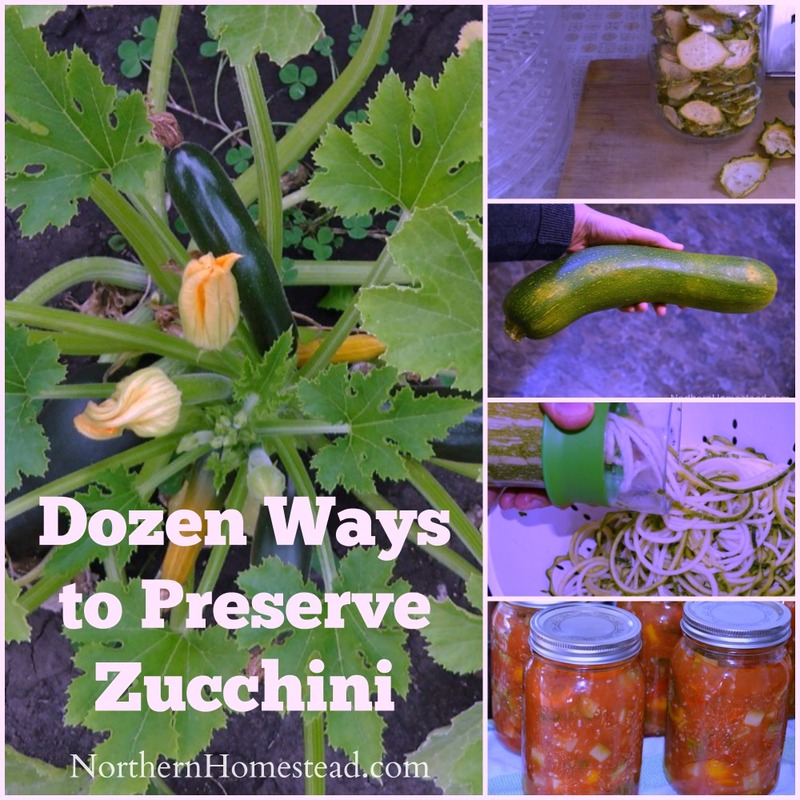 It is really easy to do so by preserving them! 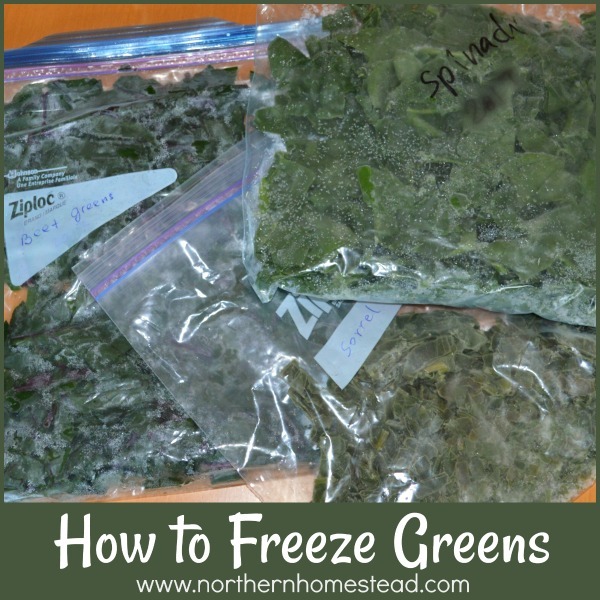 Here is a how to freeze greens. What greens can be frozen? Even though we grow greens year round, we still like to have some greens in the freezer. There are times where one variety of greens is done and the next hasn’t matured yet. 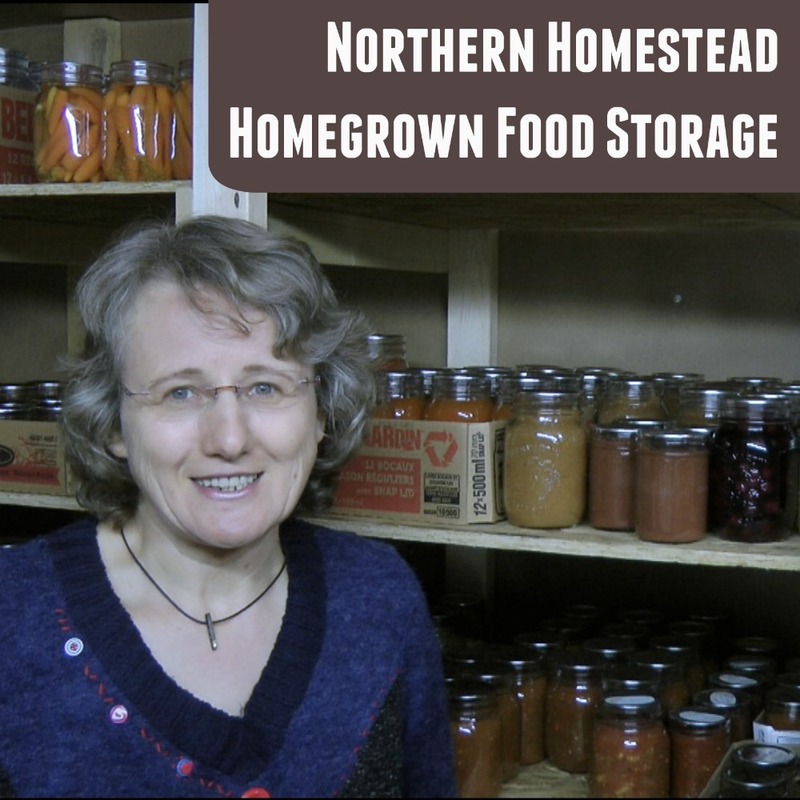 Or the weather outside is so hot, or cold, that going to the freezer seems to be more convenient than going out to harvest. Also, not all greens can be grown year round. 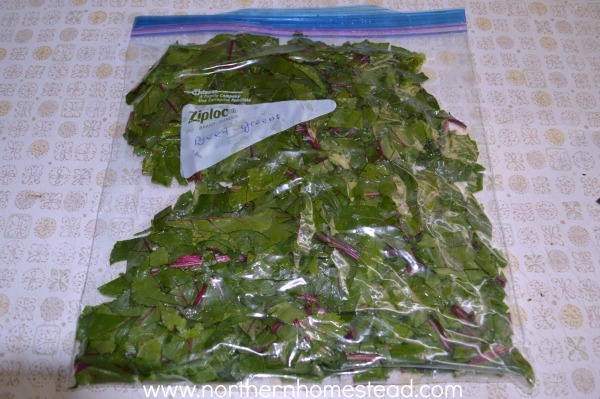 Sorrel is a perennial and makes a very yummy sorrel soup. 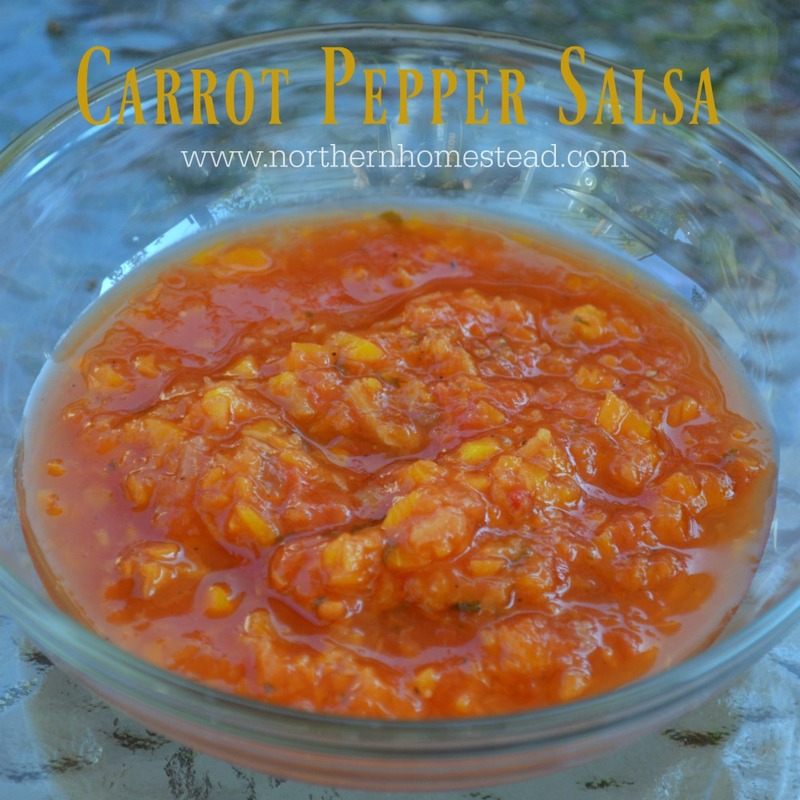 We love it, but do not care for soups so much during the summer months. 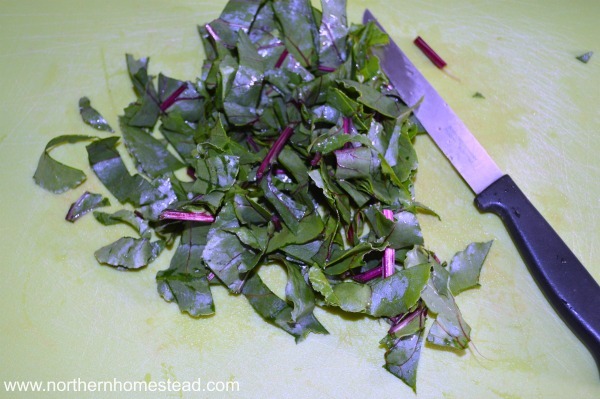 Good thing sorrel freezes well, and we can have sorrel soup in the winter instead. Freezing greens is very simple. 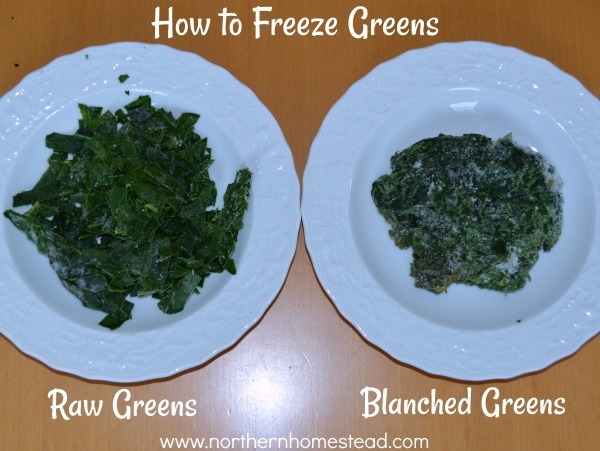 There are 2 main methods to freeze greens: by blanching them first, or freezing greens raw. 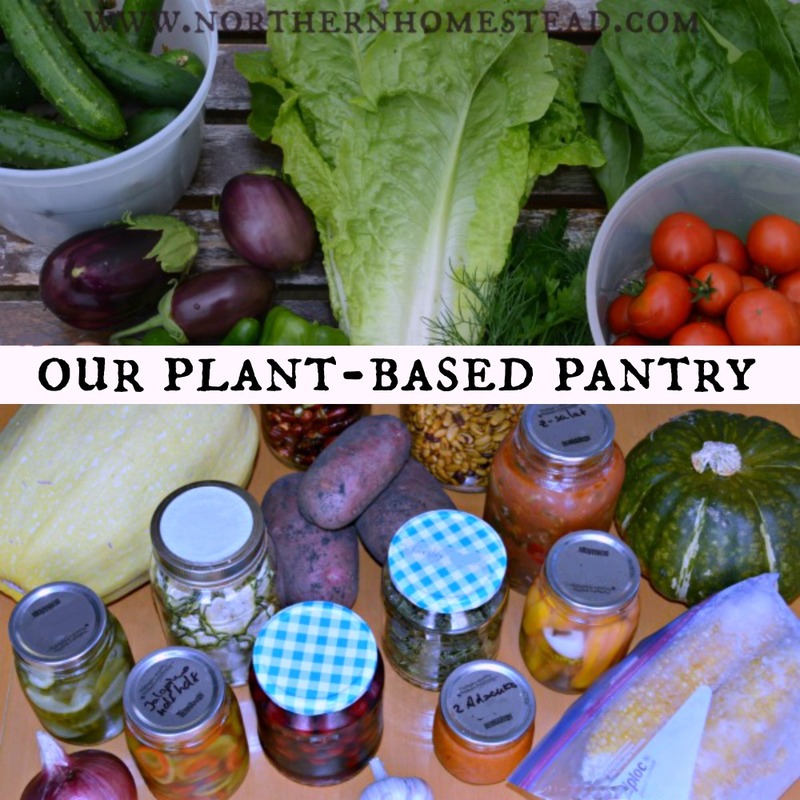 I personally prefer raw, but there is a place for blanching also. 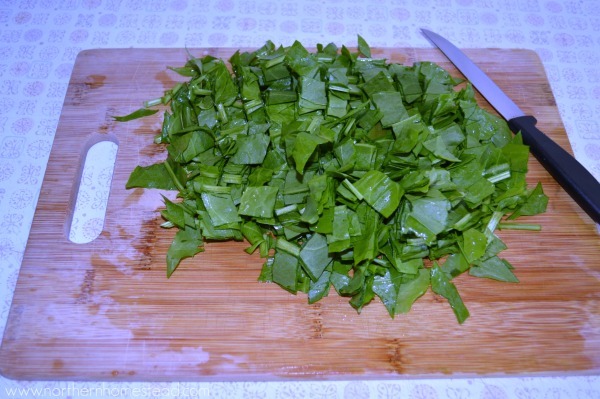 Wash the fresh harvested greens and cut them into small (about half an inch) pieces or slices. This is important: all greens can be frozen raw if you cut them into small bits first. Why is that? 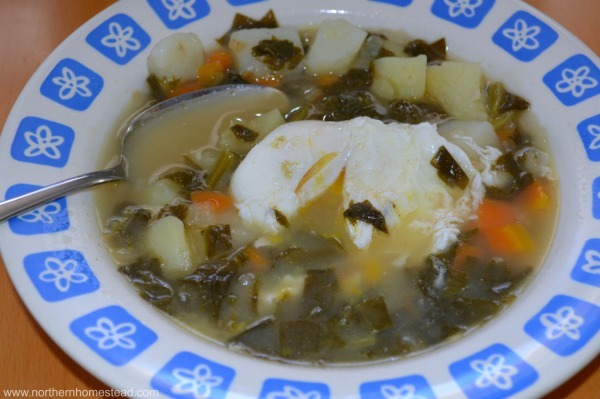 Prior to freezing you want to stops enzyme actions in the greens, which can cause loss of flavor, color and texture. This is normally done by blanching. But it also can be done at least partly by cutting the leaves. Now put them into a freezer bag or container. Get as much air out as you can. This is easy to do if you roll the bag and then close it. Label and freeze. If you want your green leaves to be intact, or you prefer them cut into bigger pieces, you need to blanch the greens prior to freezing. Blanching will stop the enzyme actions and also destroy certain enzymes that make leafy greens bitter. 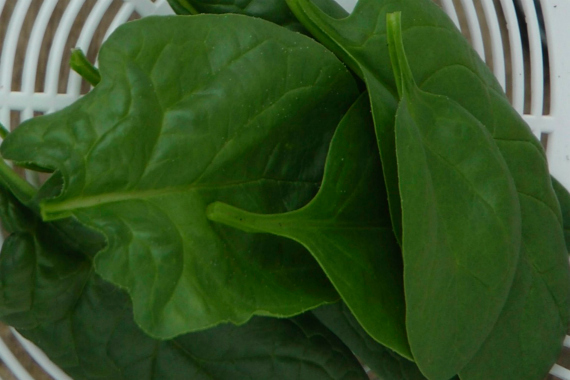 Wash the fresh harvested greens and blanch them in boiling water. Most greens need to be blanched for 2 minutes, collard greens for 3. Cool and drain immediately. 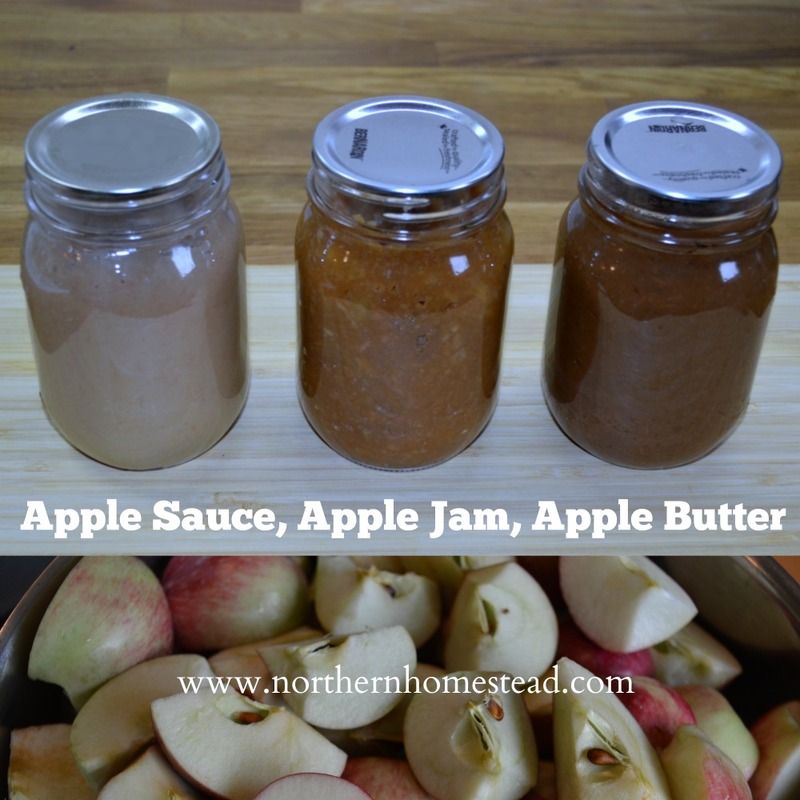 Now put them into a freezer bag or container. Label and freeze. Note, your greens will shrink immensely. I like to freeze blanched greens portion wise. This way I do not have to cut the frozen greens apart. Frozen greens taste best if you use them right away from the freezer. Do not let them thaw first, they will get very mushy and spoil fast. 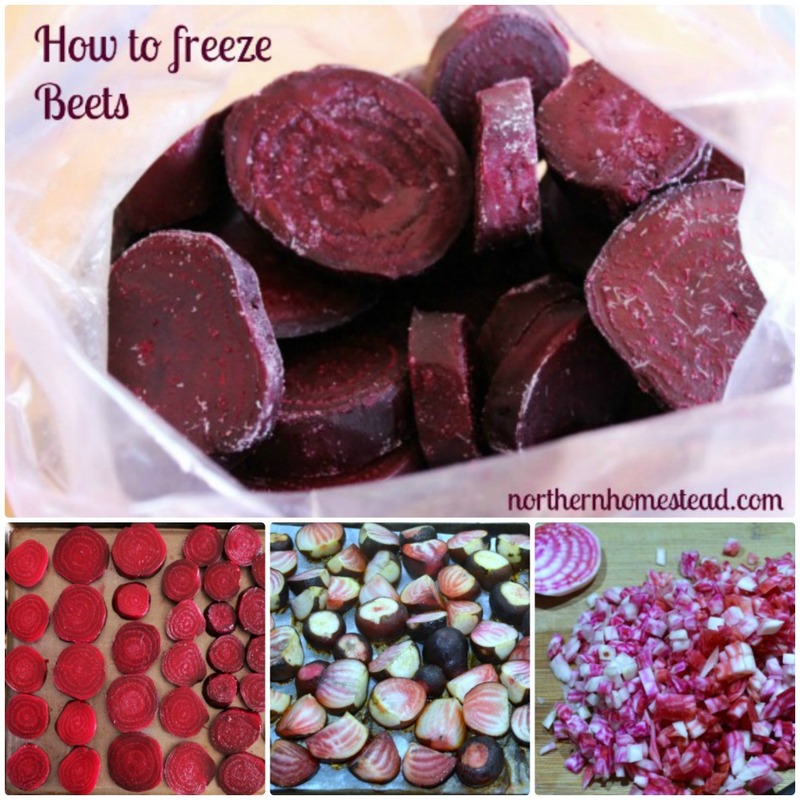 If you are going to cook them, put them frozen into boiling water or into a hot skillet. Also if you make a smoothie, use the frozen greens. This way they will taste like fresh. 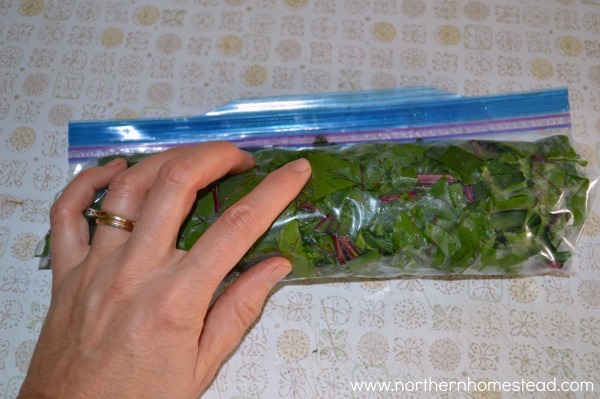 Raw frozen greens are loose, you can take out from your bag as many as you want at the time and they will thaw very fast. 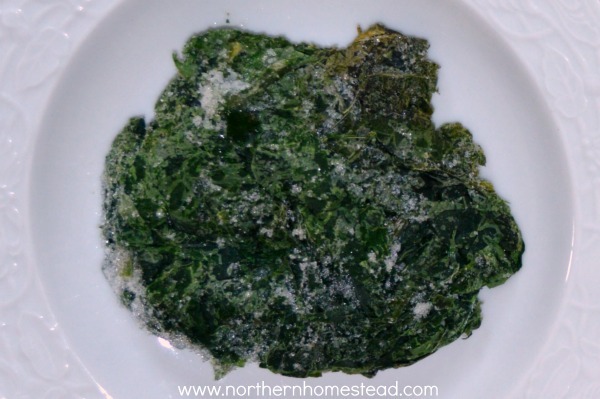 Blanched frozen greens tend to make a clump, it is helpful to freeze them in portions you want to use. What is your favorite way to preserve or use greens? When freezing raw green, do I need to let the greens dry after washing and cutting them before freezing? No, you do not have to. If you drain them well after washing and cut them, they will already be somehow dry. Just know the more water is on them, the more they will stick together, but I have not found that it affects the quality in any way. In fact when freezing herbs or celery, I do it in small containers in water. I find it preserves the herbs better. Thanks so much for this info! How long do raw greens stay good for in the freezer? I don’t have a time frame, sorry. We just use them up and they are all good. I think though some have been in the freezer for a year. Since greens are so small it seems they just dry freeze over time. I like to freeze herbs and chopped greens pressed in ice cube trays with a little water. I then put the cubes into a large freezer bag and take out as many cubes as I want to use at a time. I just toss frozen into whatever I’m making. Works well.